time: start – 7:00 a.m. ; finish – 3:40 p.m.
campsite: CRCS15 -Cyril’s Stittsville pad – with shower! Our last day on the river – and we were up early. It was overcast and the first thing we checked was the wind direction; we were hoping for a nice breeze from the NW to help us along. It was not to be – it was coming from the ESE! Baskins Beach at 7 a.m. It was a Sunday and there were a few sailboats moving downriver with us. After a bit more than an hour on the water, we took a short break at Pinhey’s Point before crossing the river to the Quebec side. Given the prevailing wind, we were hoping to use the shoreline as a windbreak. The effort was worth it and all the way down to our first set of rapids of the day, the Deschenes, the wind was no longer an issue. 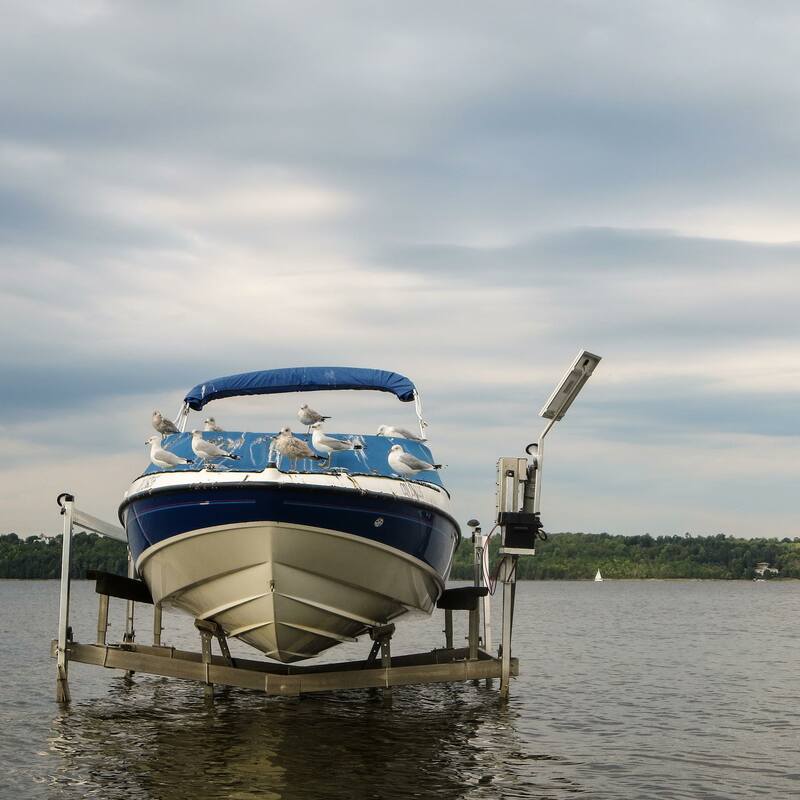 What was an issue was the shallow water, something that the cottagers dealt with by mooring their boats much further from the shore than usual. The boat below was about 60 meters from the Quebec shore. 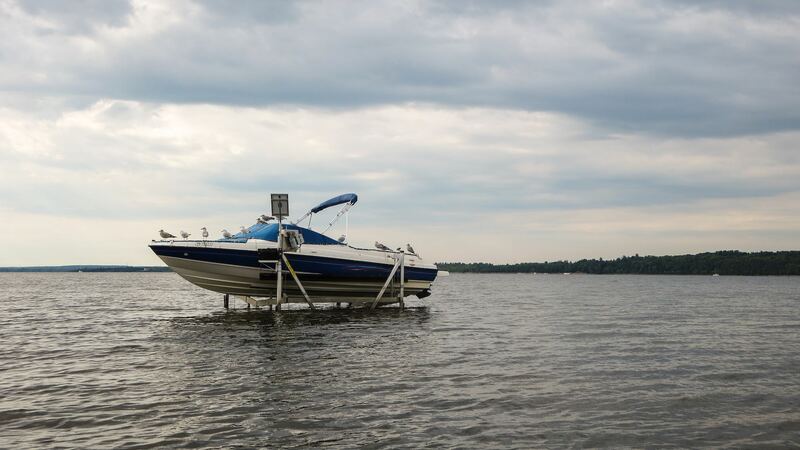 Its owners could probably walk out to the boat. We wondered how they dealt with all the seagull poop that the birds using it as a roost left behind. 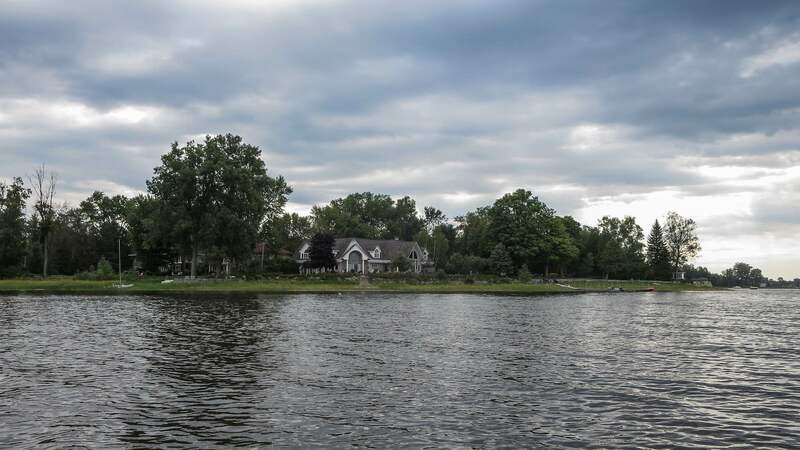 By this time we were paddling by Aylmer on the Quebec side, passing increasingly more expensive cottages, homes, and mansions. 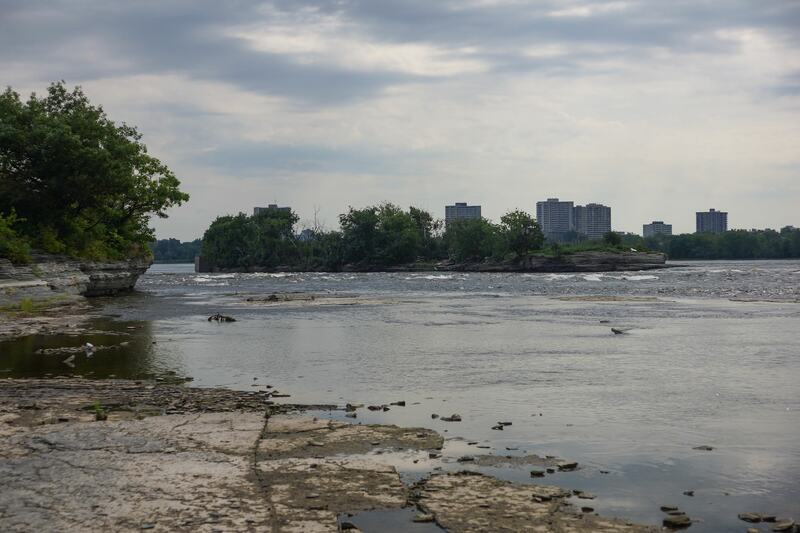 When we got near the Deschenes Rapids the Ontario skyline with its towers visible in the distance was a reminder that our trip was almost done. However, there were still a few more sets of rapids and a portage to do. 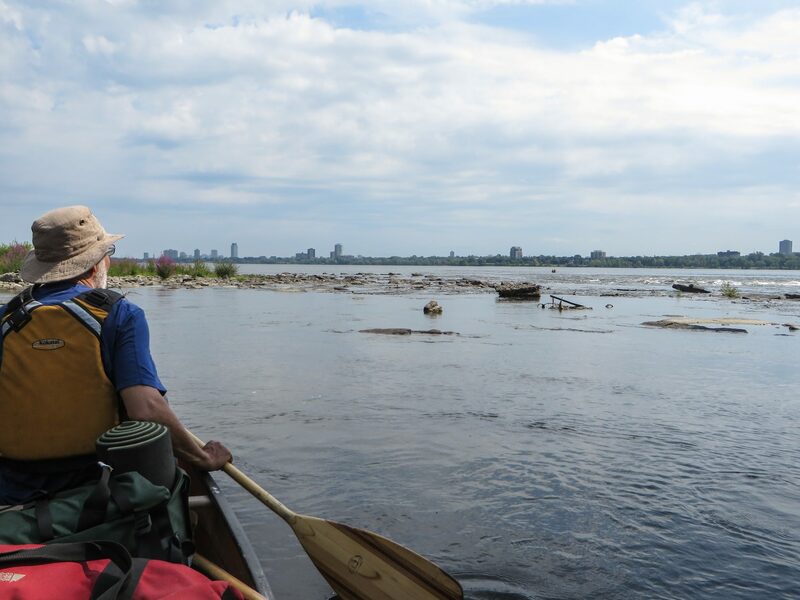 In our chat with Jim Coffey of Esprit Rafting back on the morning of our Day 1 on the river, he had recalled for us some details of those rapids from a Mattawa-to-Ottawa trip he had done years before. 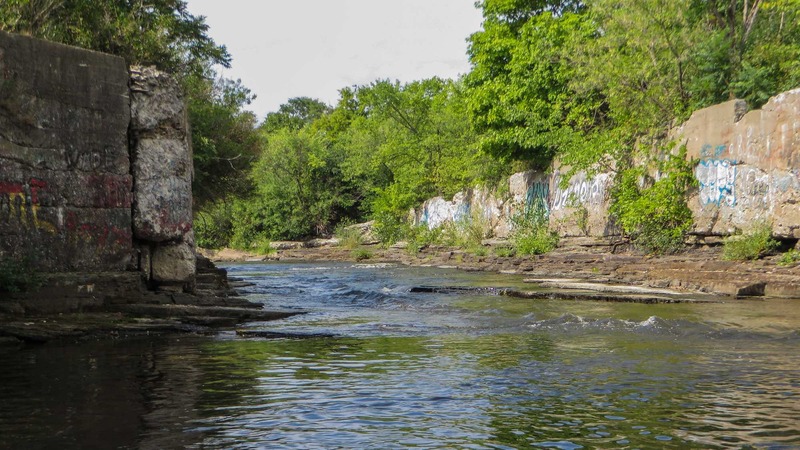 The portage around Deschenes Rapids is on the Quebec side and makes use of a paved bike trail which runs along the top of the rapids. A dirt path leads down from the bike trail to a side channel which would take us down the rest of the rapids. 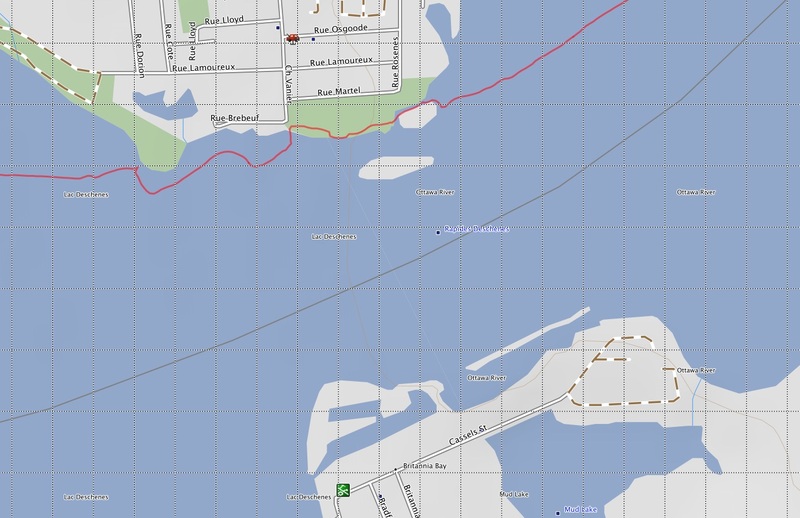 In the satellite image below you can see the 350-meter carry we made. 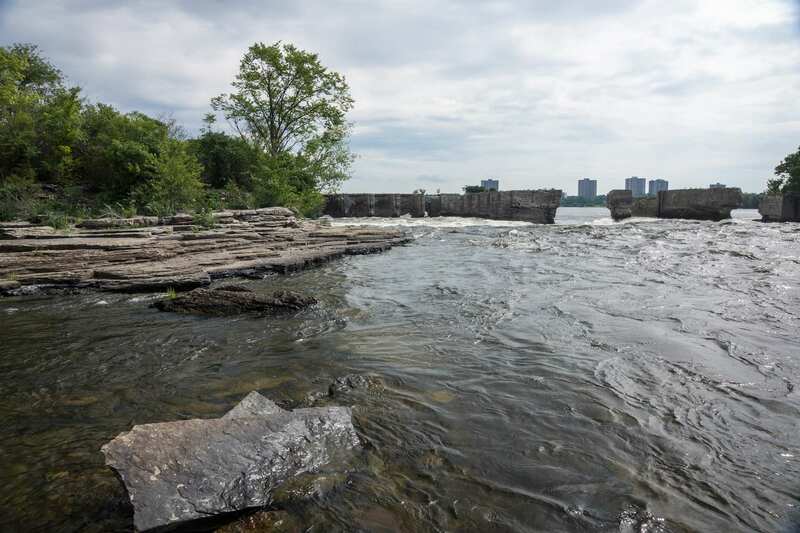 the top the Deschenes Rapids – and the suburbs of Ottawa! After our bicycle path portage, we followed this side channel down. The water was occasionally low enough to force us to walk the canoe through. After a few minutes and a bit of scraping, we were down at the bottom of the side channel and rejoining the main flow. That would be it for the day as far as dealing with rapids was concerned since all the others we went through ranged from swifts to Class I. 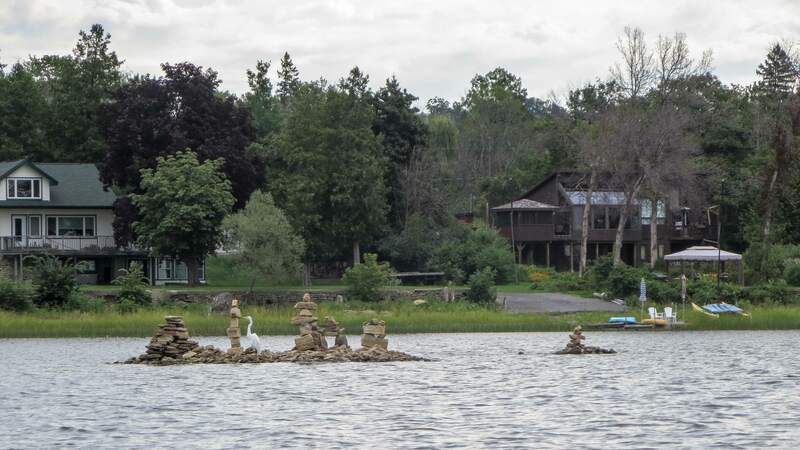 The Remic Rapids was one set that proved to be no more than swifts and we slipped down easily after stopping to take some pics of the rock sculptures set up in the shallow water along the shoreline. 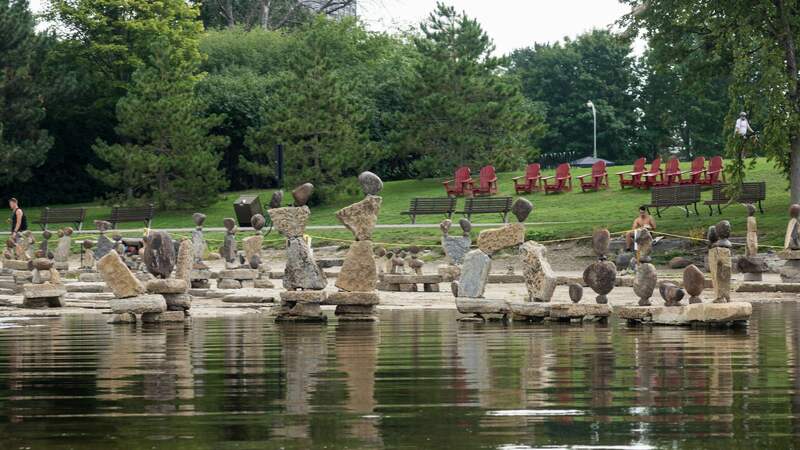 It is called Remic Rapids Park and the balanced rock sculptures are created on an annual basis by a Gatineau artist John Felice Ceprano. I had bicycled past them on the bike trail a few summers ago; now I got to see this year’s collection from the river. So there we were getting as close to the obstruction as we could before we took the canoe out of the water and onto the park grass. While Max set off on a reconnaissance mission to see exactly where the bike path went, I moved the gear and canoe up from the water to the side of the park path. That done I scooted up the hill behind the trail and saw the Canadian War Museum. Given the complications of getting a car anywhere close to the river, I figured the Museum would make an easy spot for our buddy Cyril to access. 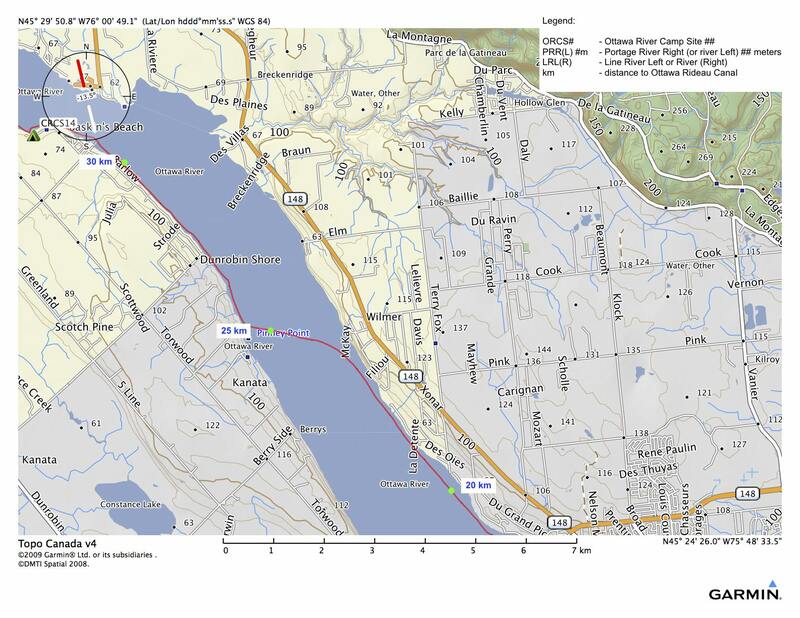 It would be a “good enough” ending for our 400-kilometer paddle. 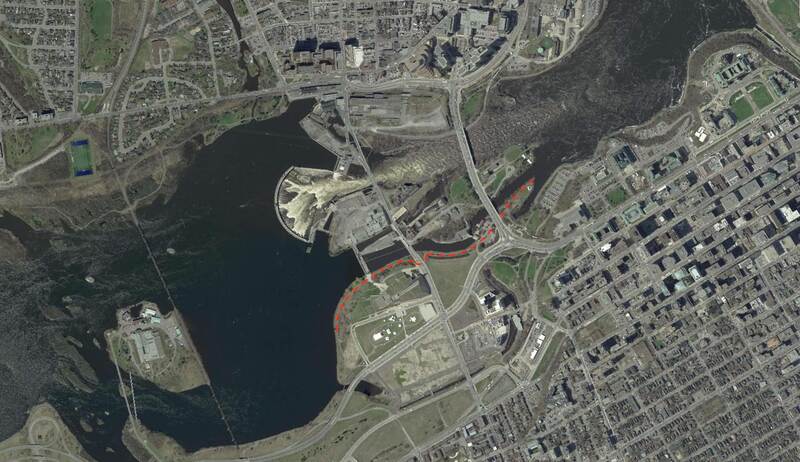 That thought almost led to the portage around the Chaudiere Falls Generating Station and dam not happening. Thanks to Max’s persistence it did. Max came back about ten minutes later. He had walked as far as Booth Street in his wet socks and L.L. Bean boots and his feet were not happy. When I mentioned the idea of ending the trip where we were, he could only say -“No way! We’re gittin’ ‘er dun!” He figured that we had been talking about portaging up to Parliament Hill since April so anything less would be unacceptable. While he put on his dry boots, I told him to relax while I set off to determine exactly what kind of portage we were looking at. With my Polar GPS watch on, I retraced his steps to Booth Street and then crossed the street. 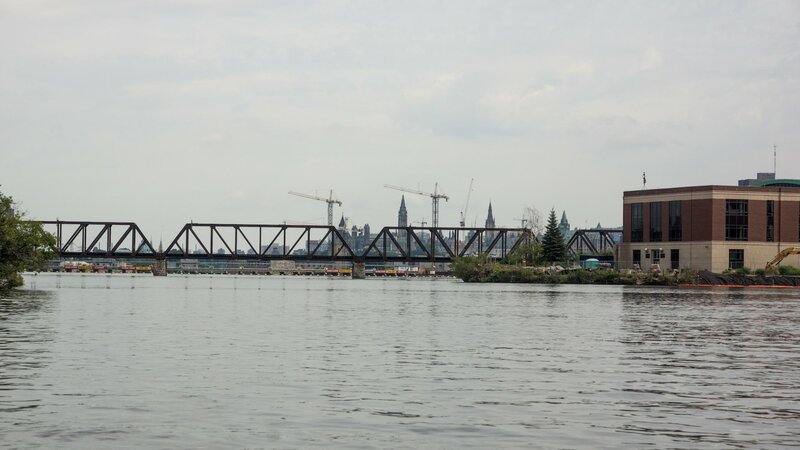 Past the Mill Street Eatery, through a parking lot and underneath another road, down the hill past a war memorial to Naval veterans, and right back down to the Ottawa River! 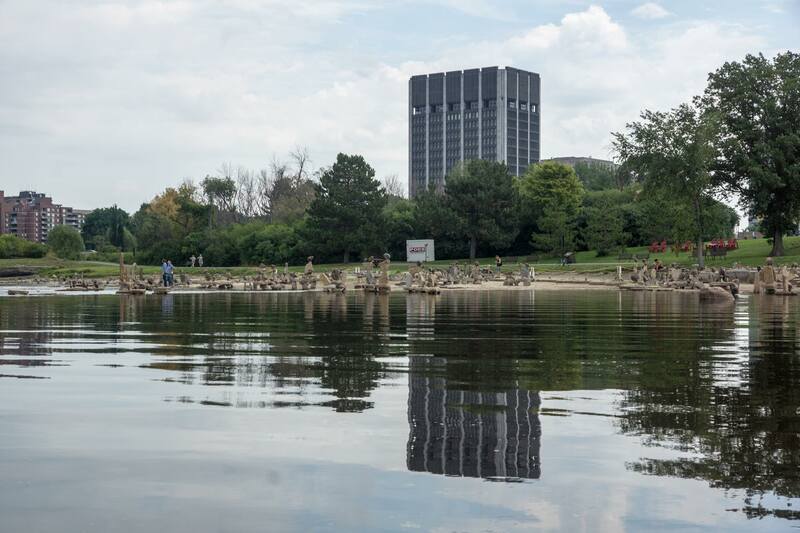 It was going to be an 1140-meter portage. We moved the gear and canoe along the path in 250-meter sections so that one of us would always have our stuff in sight. ( As if anyone would actually take the stuff!) Standing at Booth Street with a canoe over my head and waiting for the light to turn green was a memorable portage moment. 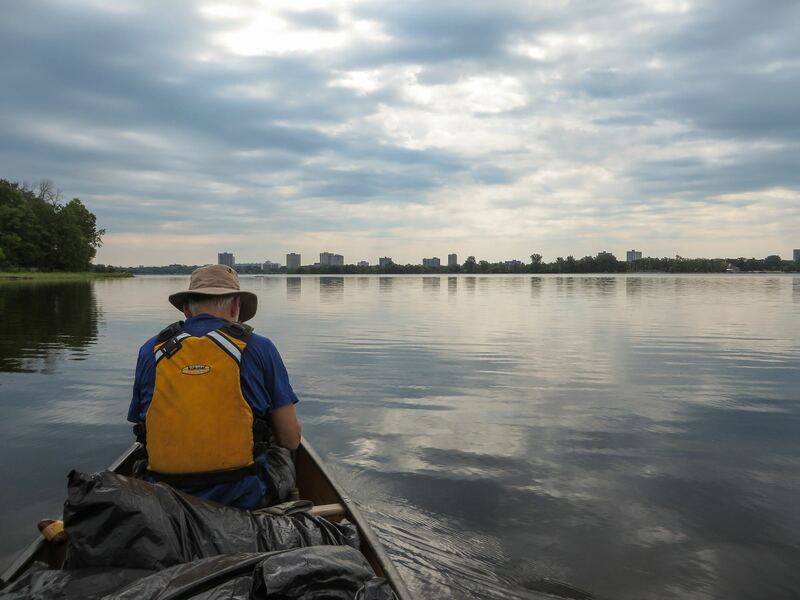 Max commented that all we’d need to do was trade in our canoe for a shopping cart and we could easily pass for two grizzled homeless geezers passing through the nation’s capital on their way to nowhere. 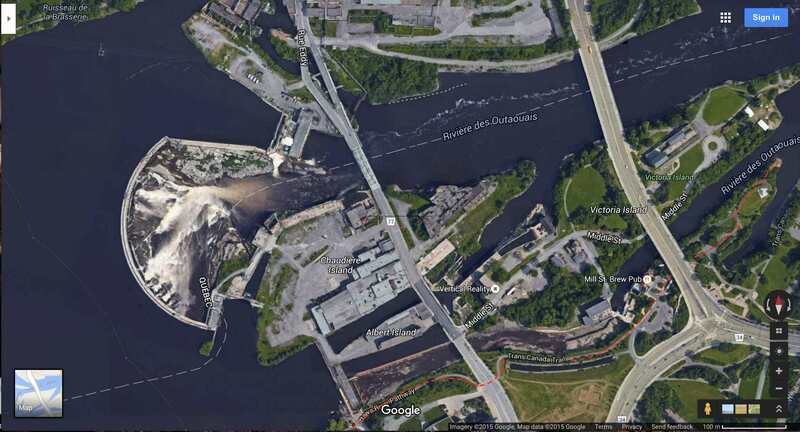 Portage Route around Chaudiere Falls G. S.
We eventually got to the put-in spot you see in the pix below. We just stood there and expressed the WOW concept in a number of different ways. Wrapped up in our celebration at being at that spot was that great feeling that the bros. had survived another excellent adventure! Wow indeed! However, as is often the case, there was a bit more to come. While we were close it wasn’t over yet. 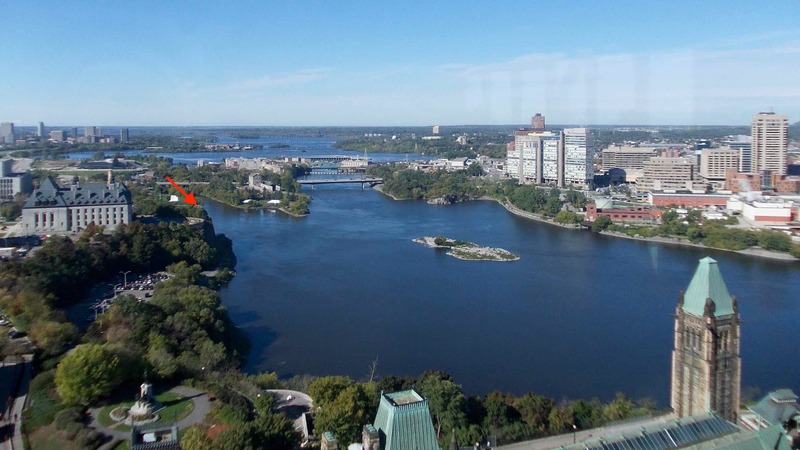 the portage around Chaudiere Falls – done! Not too long after we got there, the sky turned dark grey and it started raining. It fell gently at first and then came the torrential downpour that had us taking out one of our tarps and draping it over our packs and ourselves. It went on for about ten minutes and then it stopped but in the distance – thunder and lightning! Back went the tarp into the duffle. We were getting a pretty dramatic end to our trip! The Rideau Canal was no more than one kilometer away. We snapped a few pix and then pushed off for the bottom the locks, worried about that lightning. We paddled the last bit of the river to the endpoint. 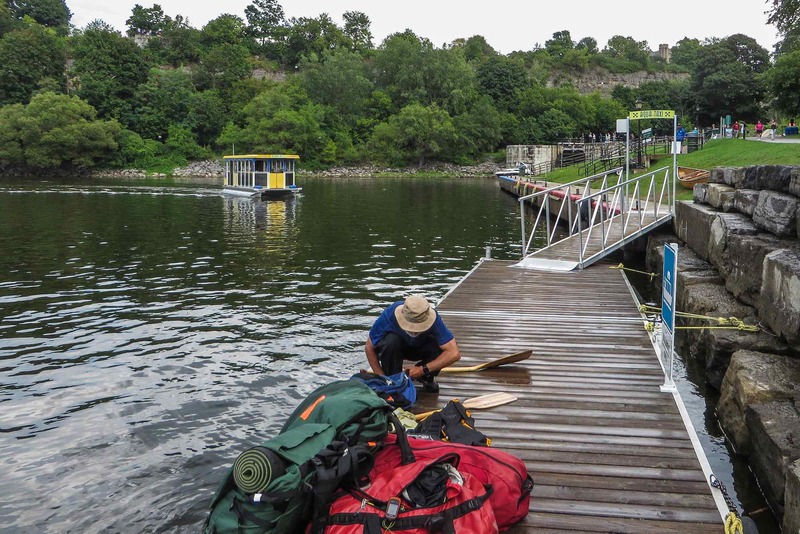 Once on the dock at the bottom of the Rideau Locks, we moved our gear up to the grassy area beyond the dock and ramp as quickly as possible since the tour boat was heading our way with a full load of passengers. In the pic below you can see our canoe already on the grass – with just the two duffels, two Hooligan packs, and paddles to go. 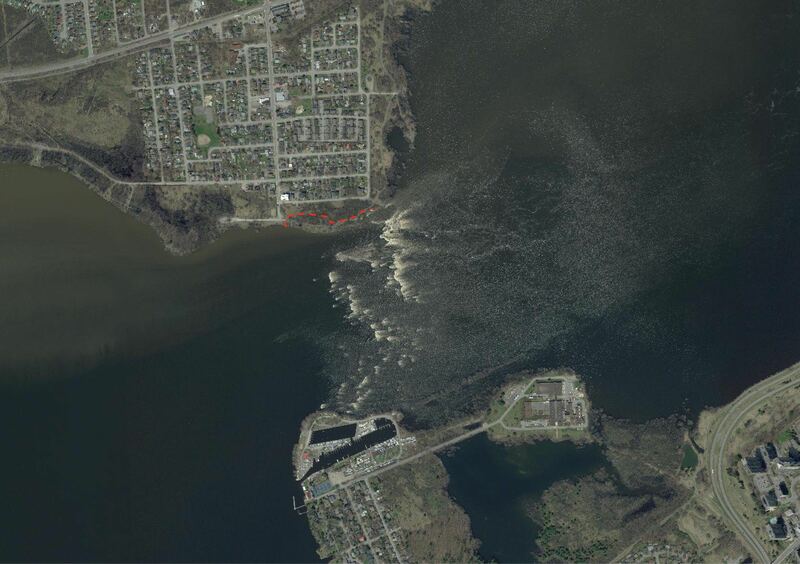 Back at the Deschenes Rapids, we had given our friend Cyril in Stittsville a ring. He had come up Highway 117 with us two weeks before and driven our vehicle back to his place while we set off down the Coulonge. Now he was going to pick us up at the end of our trip. We told him we would be somewhere on the side of the Rideau Locks. Well, here we were! Now Max set off to see exactly what a portage up the locks would involve. Meanwhile, I moved the gear another 100 meters along. And then in a flash – another intense and sustained torrential downpour, this one lasting perhaps thirty minutes. The bags were somewhat wet but with the canoe on top, they were mostly sheltered. We got much wetter. We hadn’t even dried out from the first rain and now we were soaked again. This was not the end we had planned! As for the eventual portage – when Max returned he said the paved road would do the trick. 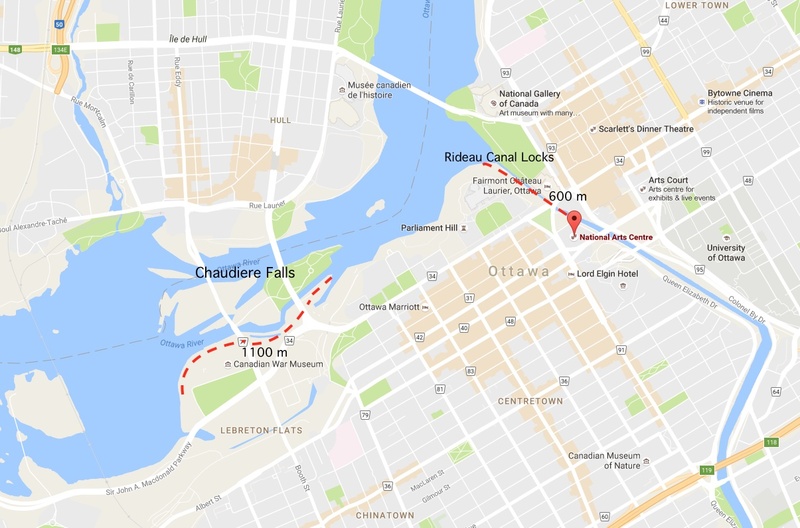 It runs alongside the six canal locks past the Bytown Museum, past the Chateau Laurier’s basement level entrance, under Wellington/Rideau Street to a back lane behind the National Arts Centre. On the steps of the Chateau Laurier was a bridal party getting pictures taken. As I walked by I asked them if they wanted an iconic piece of Canadiana – i.e. the canoe on top of my head – in their photo. While they managed a chuckle, the event photographer was clearly working from another shot list! 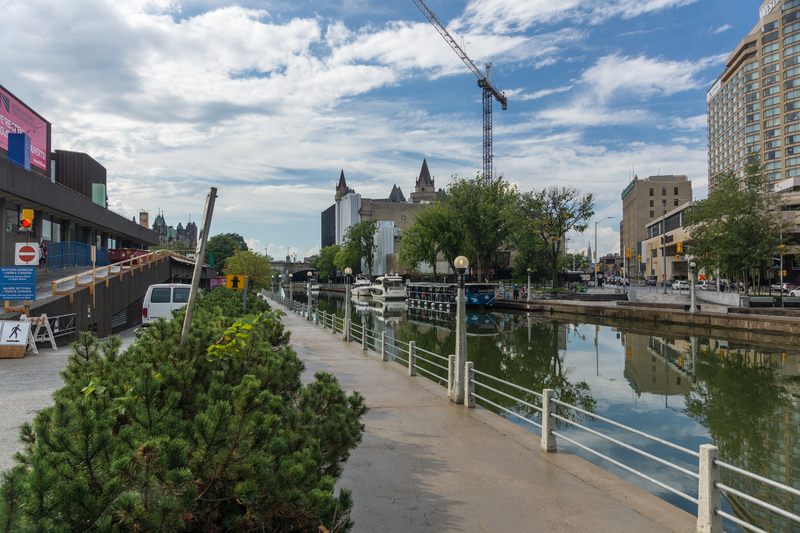 Cyril had found a spot behind the National Arts Centre and, after checking with a stagehand to make sure it would be okay to leave the car there for twenty minutes or so, walked down the lane alongside the canal and locks to meet us. Even better, he grabbed a pack and a duffel! 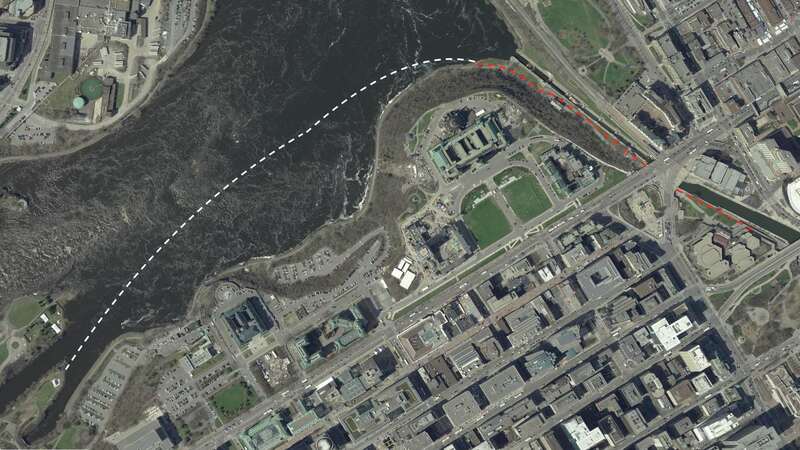 And that was it – a 600-meter or so carry from the dock at the bottom of the Rideau Locks up to and under Wellington Street to the canal side of the National Arts Center and we were done. 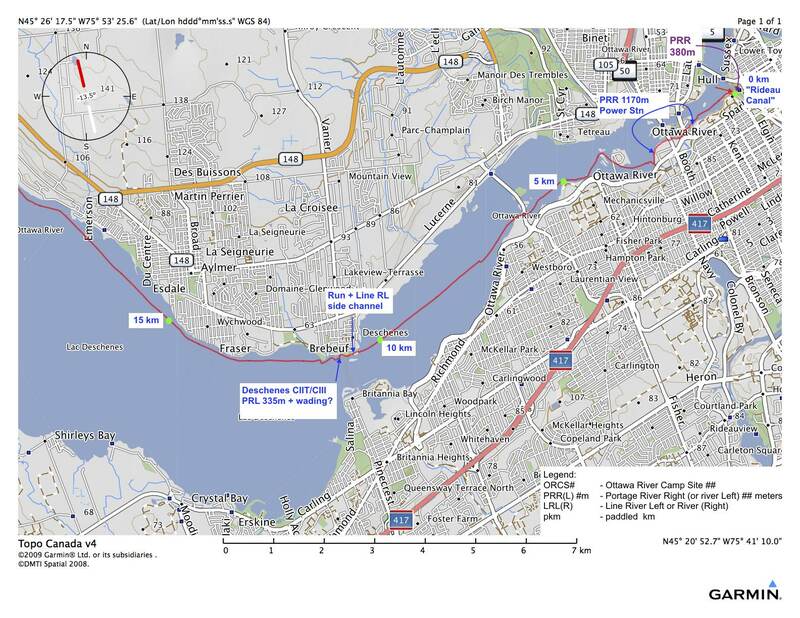 The original plan had been to put the canoe back in the canal and paddle up to Dows Lake but that had been eliminated the night before when we calculated the 32 km. just to get to where we were. 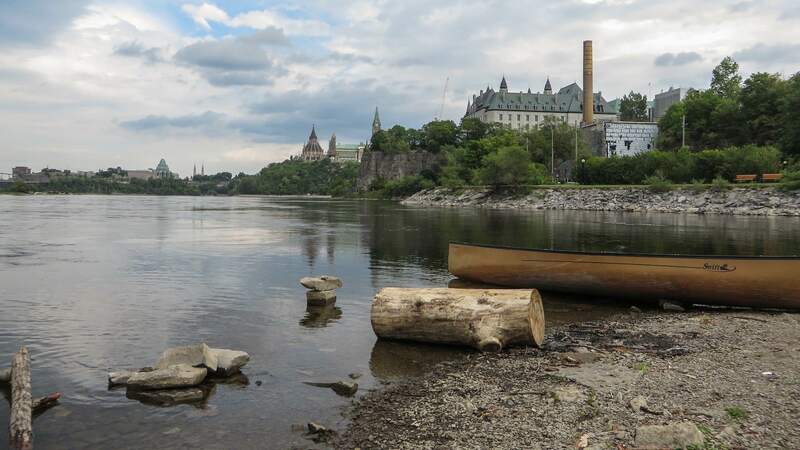 While there is no way you could mistake our five days on the lower Ottawa as a wilderness canoe trip – with the possible exception of the half day spent in the Rocher Fendu section of the river on Day 1- it had still been a rewarding experience. It was our introduction to a part of Quebec/Ontario we had not travelled before. 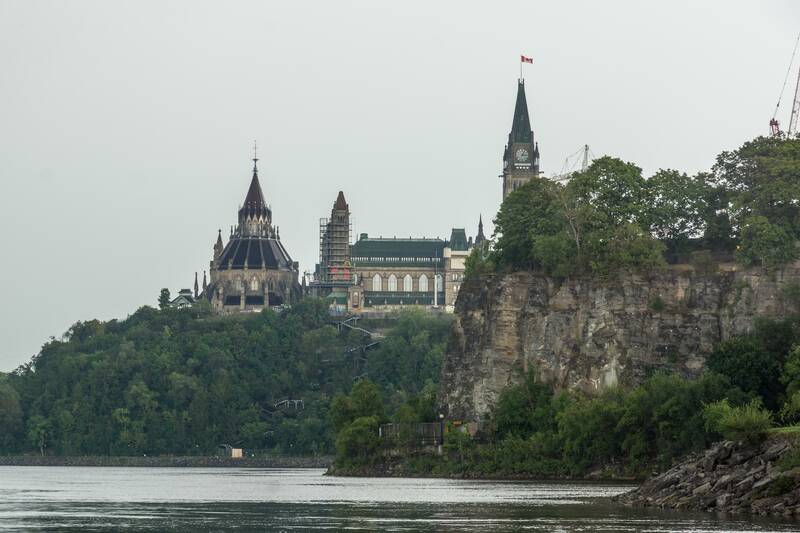 To do even a bit of a river that figures so prominently in the early history of Canada by canoe was special. 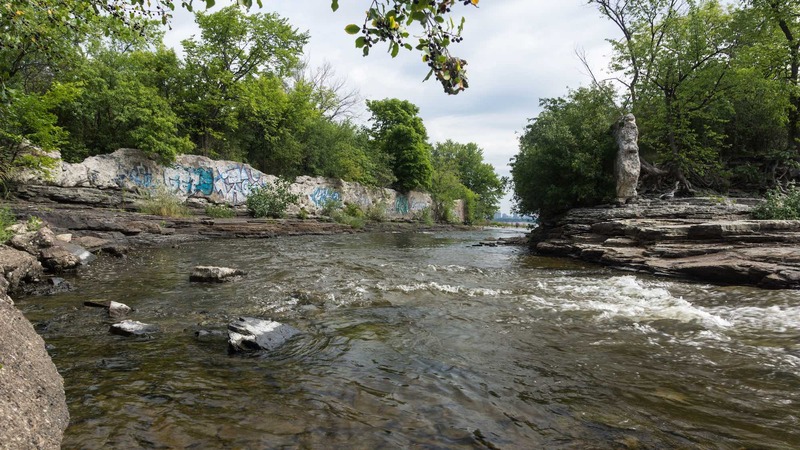 On top of everything else, it has given us a reason to consider the upper reaches of the Ottawa for a future trip, maybe starting all the way back in the town we were born and grew up in – Rouyn-Noranda. 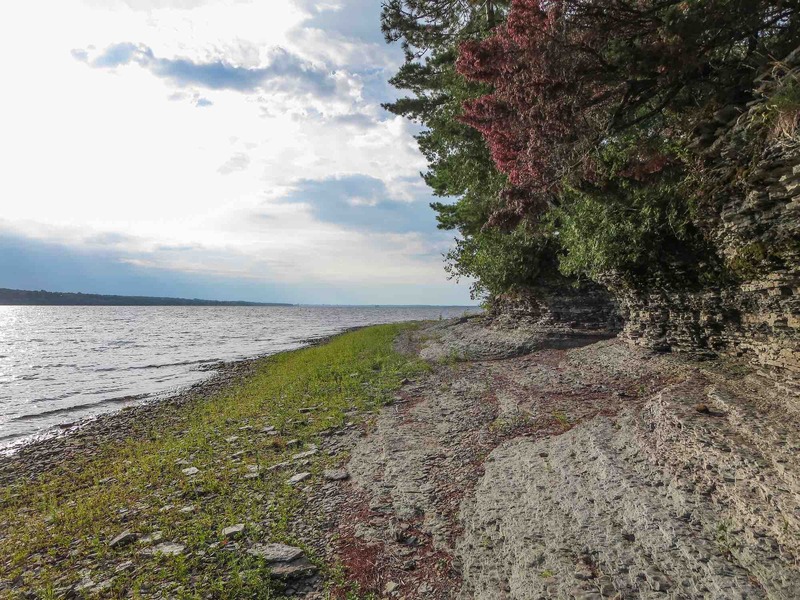 The Kinojevis River flows from near the town down into the Ottawa, which then continues onward to the top of Lake Temiskaming and Notre Dame du Nord. Paddling down the long narrow lake would bring us to Mattawa and then on eventually to Pembroke and Morrison Island. 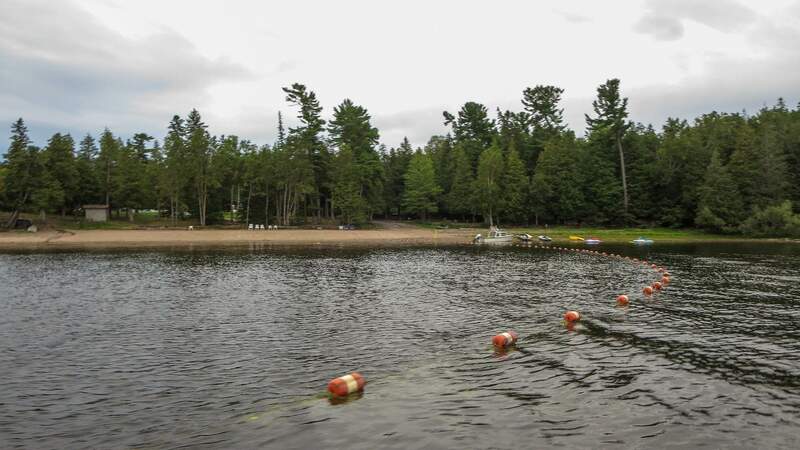 This was the location of the most important of Algonquin communities four hundred years ago. Some time will be spent this winter staring at maps and dreaming about the possibilities and choices for another excellent adventure!